To schedule a tour of the Birthing Center, call 561-798-9880. Learn about what to expect throughout pregnancy and delivery, the healthiest diet for you and your baby, exercise and preparing your home. Because every family is different, you are encouraged to participate in joint decisions with healthcare providers regarding the birthing process. Our goal is to remain patient focused while we work to provide the most supportive, nurturing environment possible. Each suite is equipped with advanced medical technology that does not detract from the homelike environment. Emergency equipment is readily available in each suite, if needed, and we have two dedicated obstetrical operating rooms within our Labor and Delivery Unit. This allows us to handle any quick-arriving emergency. We also provide antepartum care for high-risk pregnancies. After delivery, postpartum families move across the hall to our new 27-room postpartum unit. While they are there, our staff provides education and other assistance to new parents and their extended families to help ensure that every family departs with the basic knowledge needed to begin their journey. Our 15,000 square-foot, 25-bed neonatal intensive care unit (NICU) provides highly advanced technology in a comfortable and aesthetically pleasing environment. The neonatal services are of the highest level available in the state of Florida, and represent our commitment to providing specialized care for newborns. We perform high-risk deliveries, and care for some of the sickest and tiniest of babies. Our NICU is staffed with highly skilled registered nurses, respiratory therapists and neonatologists who are available 24 hours per day, seven days a week. Wellington Regional Medical Center also has its own neonatal transport team that services local area hospitals to stabilize and transport infants to our Level III NICU for treatment. The Lactation Center is dedicated to supporting all mothers in their decision to breastfeed. International board-certified lactation consultants (IBCLCs) are available seven days a week to assist new moms with individualized breastfeeding assistance and education. We are a community based Lactation Center which means that services are also provided to women who do not deliver here at Wellington Regional Medical Center. The Lactation Center offers personalized care and services, including: breastfeeding education, private consultations, telephone advice, weekly support groups, La Leche League meetings and breast pump rental. 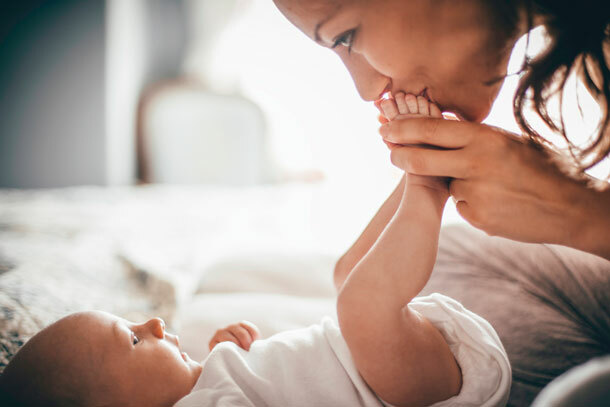 Wellington Regional Medical Center offers a wide range of childbirth and parenting classes to help you prepare for your new role as a parent. For more information or to reserve your place for any class, please call 561-798-9880. To schedule a tour, reserve your place for childbirth and parenting classes or get more information about the Birthing Center, please call 561-798-9880.